A United States citizen named Dr. Charles Lee was detained and imprisoned upon exiting an airplane at the Baiyun airport, in Guangzhou, China on Jan. 22, 2003. He was then transferred approximately 1,000 miles away to the Yangzhou Detention Center in Jiangsu Province. He had committed no crime, and had a U.S. passport as well as a visa issued by China on his person when he was arrested. 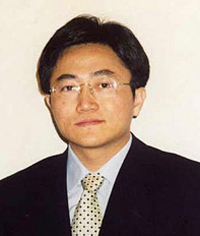 Dr. Lee, who is a Falun Gong practitioner, has been held for almost three years at a jail in Nanjing, China. This article is the first in a series of three articles published by The Epoch Times regarding the Chinese government's detention and imprisonment of Dr. Charles Lee. Dr. Charles Lee was born in Jiangsu province, in China. After receiving a medical degree in China, Dr. Lee came to the United States, and began graduate study in 1991 at the University of Illinois at Urbana-Champaign on a full scholarship. He graduated in 1995 with a Master's degree in Physiology, and then went to Harvard to do research. Later, he moved to Menlo Park, California, where he ran a business. Falun Gong is a form of meditation and exercise that was introduced in China in 1992. It soon attracted as many as 100 million people in the next few years. In 1999, the Chinese communist government outlawed Falun Gong because of its fear of losing power. It was during this time that Dr. Charles Lee began to practice Falun Gong. According to the Falun Dafa Information Center, Dr. Lee denied the charges when talking with a U.S. consulate official. He told the U.S. official that he believes Chinese officials are treating him like a political prisoner because he practices Falun Gong. Since Dr. Lee's departure to China, the only communication with his fiancée and family has been through the U.S. State Department. The Chinese government has continued to detain Dr. Charles Lee. In a letter that Dr. Lee later sent from a Nanjing prison, he stated that he never harbored any intention to violate Chinese law. According to Dr. Lee, he only wished to tell the Chinese people the truth about what was happening to Falun Gong practitioners in China. In the letter, Dr. Lee also quoted Dr. Martin Luther King, stating that injustice anywhere is a threat to justice everywhere. In the next article of this three-part series, we will continue the story with Dr. Lee's experiences in a Chinese court and jail.